With fall and winter comes flannel, it’s just a fact of life. Though the lesbians around me rejoice in the season of their preferred fabric, this look is claimed by many, so here is a little bit about our favorite shirt and the different ways to wear it. Plaid is not flannel, and flannel is not always plaid. Plaid is a pattern and flannel is a fabric. Though many flannel shirts are plaid, they do not have to be, and what they do have to be is that thick, soft material we know and love. So don’t tell me you are wearing your favorite flannel and grab your cotton plaid. No Dice. 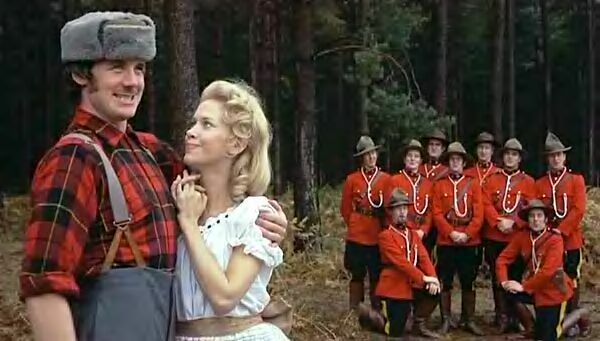 I’m not sure if real, hired lumberjacks wear flannel anymore, but it is certainly a stereotype. Usually spotted in large red checked flannel with suspenders and an axe, sleeping all night and working all day. I’m not really a lumberjack, I’m not really ok. Help. Spotted wearing large checked flannel and suspenders, sometimes boots and beanie. 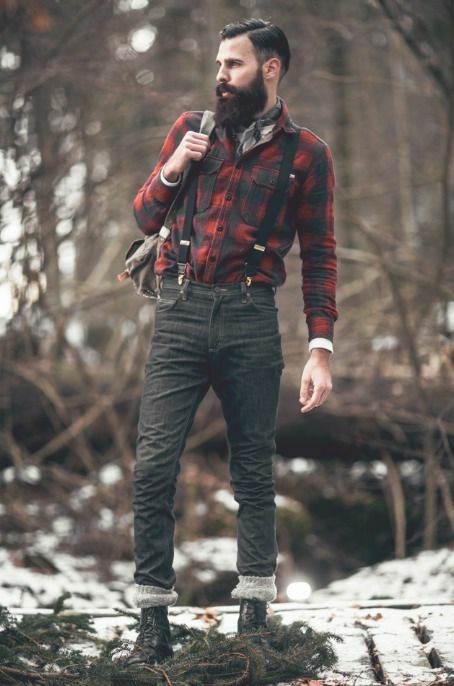 The Hipster Lumberjack just wants to look like they’ve just been cutting trees, as they sip their organic, fair-trade latte and glance over their macbook at the freshly fallen snow. This is a fall classic. Dark leggings and an oversized flannel shirt that you may have either stolen directly from an actual boyfriend or maybe from a thrift shop. Accessorized with large necklaces and a holiday latte or coffee. This outfit is fairly warm and extremely popular and easy to spot. 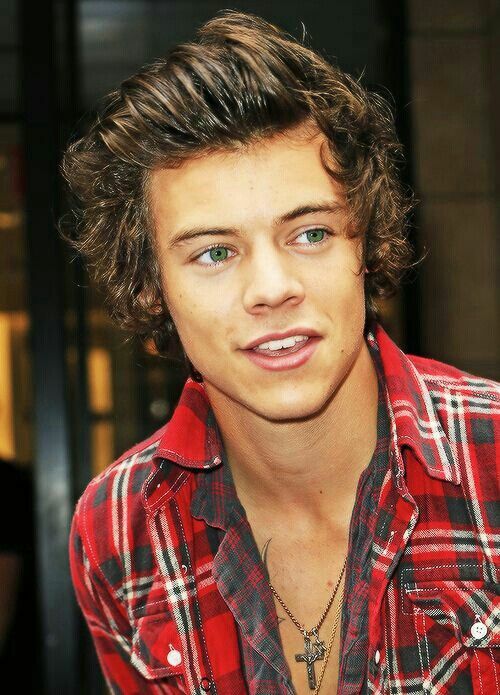 This is Harry Styles wearing two flannels at the same time. Very few people’s flannel game is at this level. Do not attempt. People from all corners of everywhere agree; the men’s flannel shirt is THE flannel shirt. Warm, large, and versatile, this is a shirt chosen on purpose and worn with intention. Usually tucked into jeans or used as a second layer or cardigan, the men’s flannel has something for everyone of every gender. 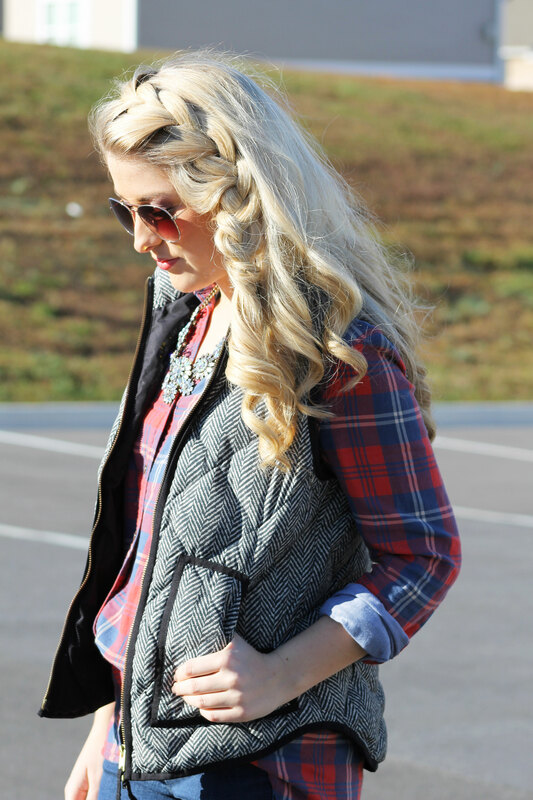 Throw a puffer vest over a flannel and you’re warm! Sort of. Warm enough to walk through the woods on a fall day or for being in rooms that are too cold, cute enough to wear all the time! Flannel is made to keep you warm, let it. This is a great look for, you know, when you just, you just, you don’t know when you need that flannel? You may want it, but you don’t have a place to put it, so yeah, waist works. Also useful if it is too warm for a flannel but you want to show off that you are someone who owns flannels. A henly under a flannel under a denim vest with, are those leather arms? Yeah ok. This is when a lesbian wears a flannel and it just looks that much gayer. It can be paired with denim, buttoned all the way up, with or without a bowtie, it doesn’t matter, just as long as you are thinking gay thoughts while you are wearing it. Something special happens when lesbians wear flannel, I think. Flannel doesn’t have to be shirts, flannel can be everywhere. Autostraddle made this great gift guide for all your flannel needs, but they left out my favorite flannel item that I own, so with that, I leave you to stay warm and look fabulous.